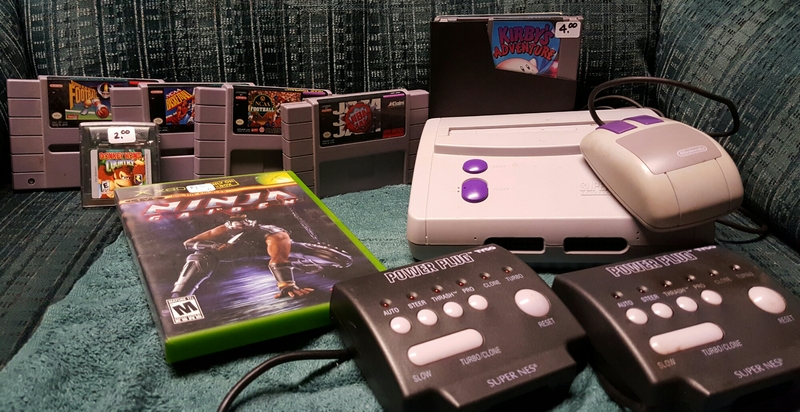 Needed an AC adapter for the SNES find last weekend, which led to this $20 total haul from a local game store. PTO qualifies as a great find for a measly $1 (and it’s complete) while I’ve been hunting for an original box for Arnold Palmer Golf for some time. Weird coincidence/timing I found it the same week he died. Also, ESPN Speedworld isn’t worth much but it’s not easy to come by if you’re going for a compete set. 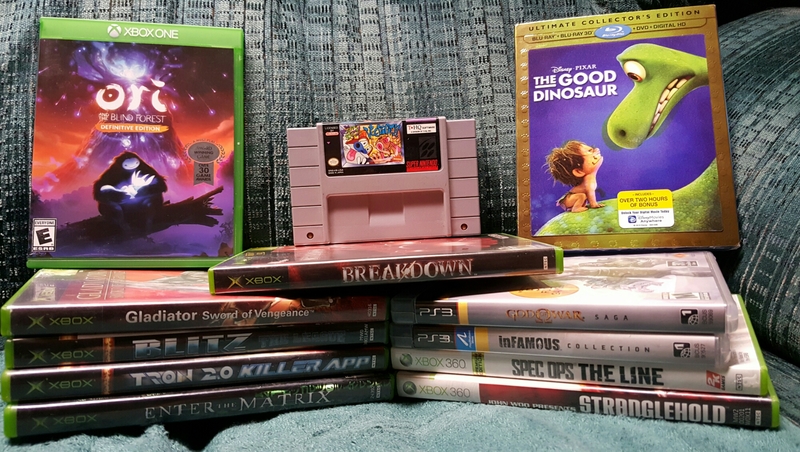 Around $40 for everything here (not pictured are two Tiger Woods Xbox 360 games) at an annual flea market. Good score despite the lack of controllers or AC adapter for the SNES. 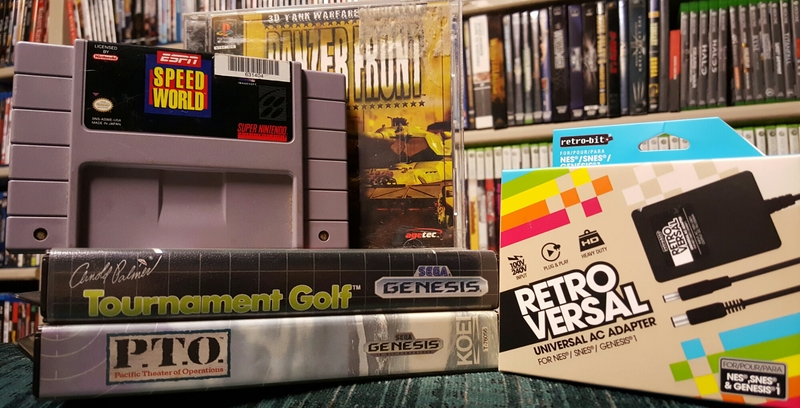 After a trade-in, this lot came to $40 at a local game store. Decided to start buying last gen games in collections/bundles to save on space. It’s not much, but replacing God of War and Infamous with those collections makes room for two additional shelf spots.